We have now launched our new Boat Beacon companion app, Boat Watch. * Full boat information – speed, course, country, etc. For Boat Beacon users, Boat Watch is a great app to tell your friends and family about so they can follow your voyage. 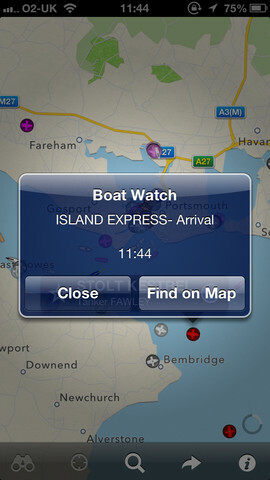 Boat Watch is a Universal app, which works on iPhone, iPod and iPad. As part of the Boat Watch launch we are sponsoring the Ahoy Centre Totally Oarsome! charity – which challenges you to test your abilities, get fit and raise money for the Ahoy charity to help others. Let your family , fr iends and supporters follow you in real time on their iPhone, iPad or iPod as you take on AHOY’s ultimate rowing challenge. Pocket Mariner are sponsoring the Ahoy Centre by providing every rowing team with a free copy of their Boat Beacon AIS tracking app. All you need to do is enter your team name in the boat details, then invite your family, friends and supporters to follow you in the FREE Boat Watch app. Tap the Sail button in Boat Beacon to start tracking. Boat watchers will be able to see your position and track updated continuously as well as all the other boats around you. 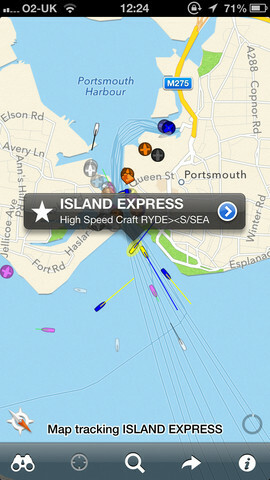 See the screen-shots above for an idea of what you can see on the Boat Watch app. With the Boat Watch In-App purchase option for only £1.99, family, friends and supporters are able to monitor your speed, course, destination and ETA details. They also get automatic alerts on their iPhone, iPad or iPod when you start and finish or stop midway! All proceeds from the In-App purchases during the challenge will go to the AHOY Centre.